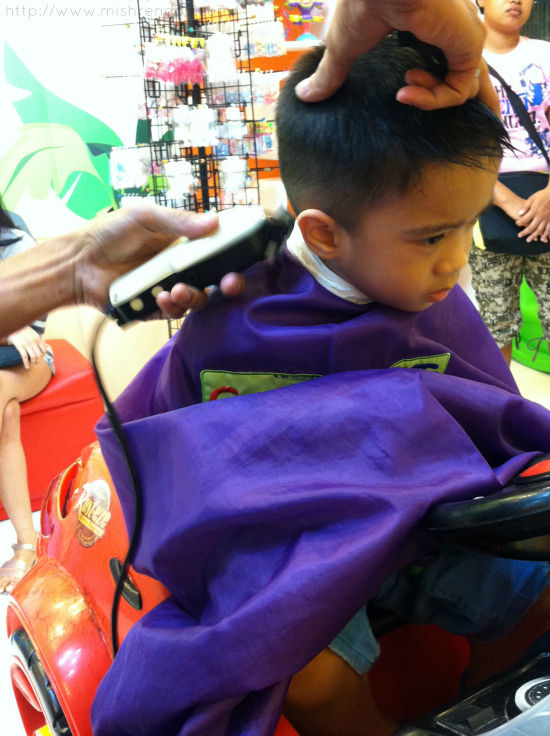 Before Ayala Fairview Terraces opened, we regularly had Z's haircut at a hair salon in SM Fairview and he never liked going there. He would usually cry whenever he realizes that we are approaching the hair salon and he would also cry (a lot) while having his haircut. We even have to let him sit in our laps since he does not want to sit in the kiddie chair. 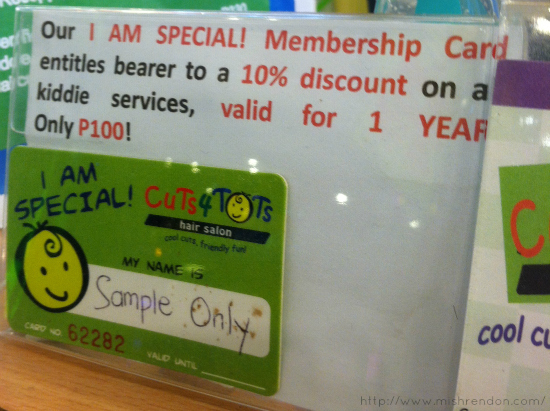 So when we discovered Cuts 4 Tots at Fairview Terraces, we decided to give it a try to see how Z will respond to their services. 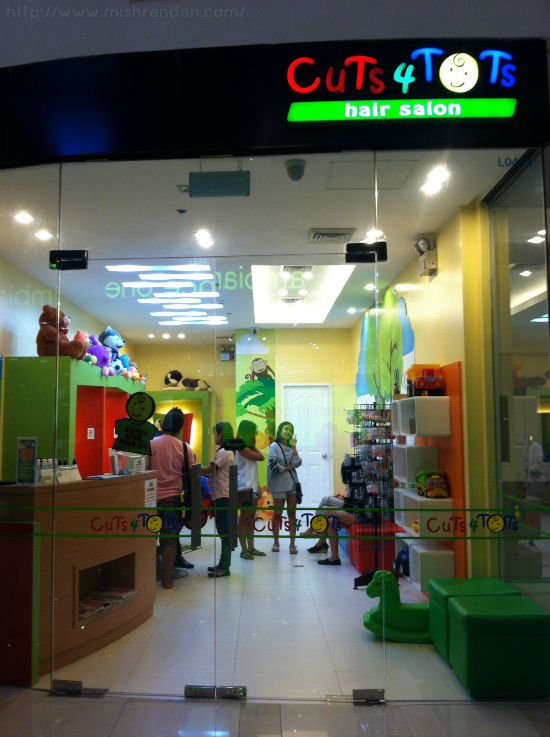 Cuts 4 Tots is a kiddie salon located at the lower ground floor of Ayala Fairview Terraces mall (near Meet My Feet and Little Martians). The first thing I noticed about this salon is how inviting it appears. 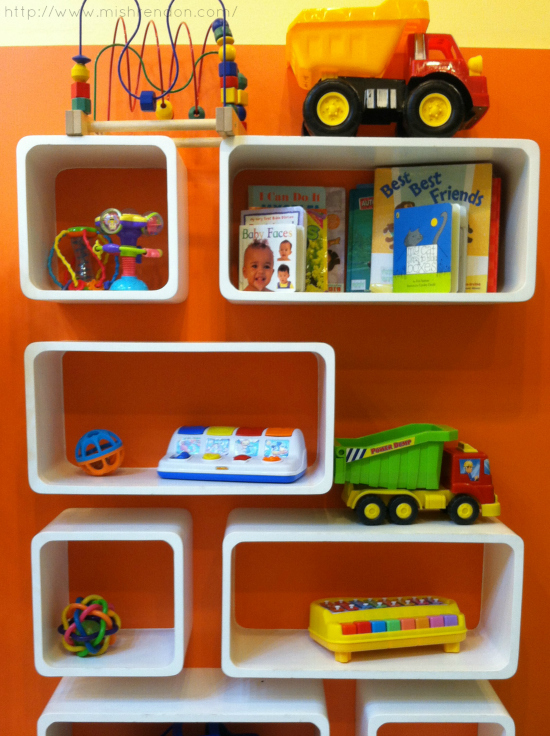 The lighting, wall decals, and furniture are all very attractive, especially to little kids. 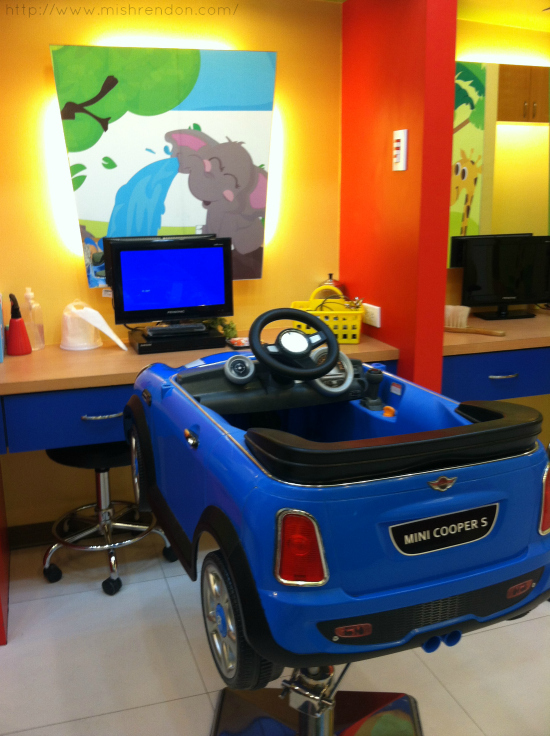 For little kids, they have cars installed as seats where they could watch a movie while having their haircut. 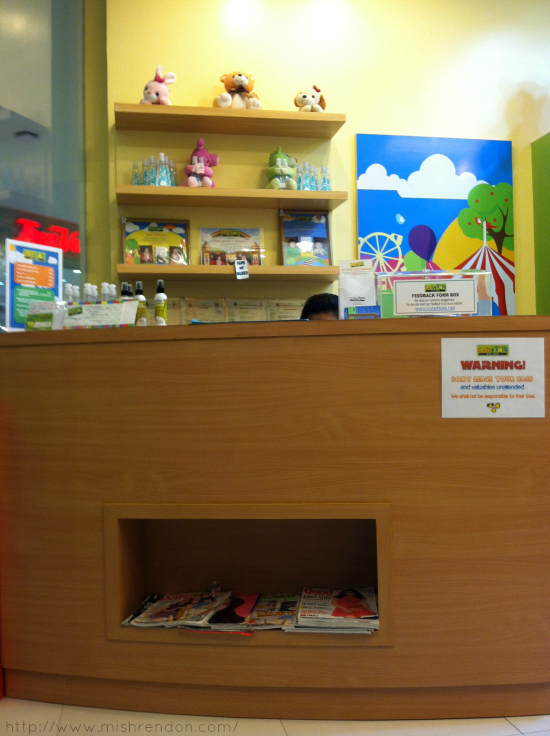 They likewise have nice and comfortable chairs for big kids and adults and a spacious waiting area for companions. 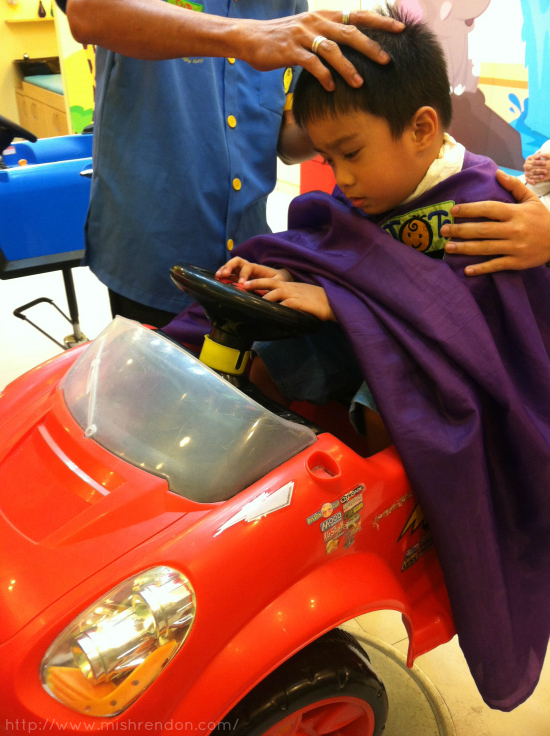 During his first haircut at Cuts 4 Tots, there were still tears and he was still uncomfortable sitting on the car chair so he had the haircut while sitting on my lap. However, during our next visit, he finally let us put him on the car chair. We just have to give him toys from the shelf every now and then so that he'll stay put. He also did not cry at all! During our latest visit, we did not need to check on him as he is comfortable sitting on the car chair already. He even stayed still during the entire duration of his haircut. 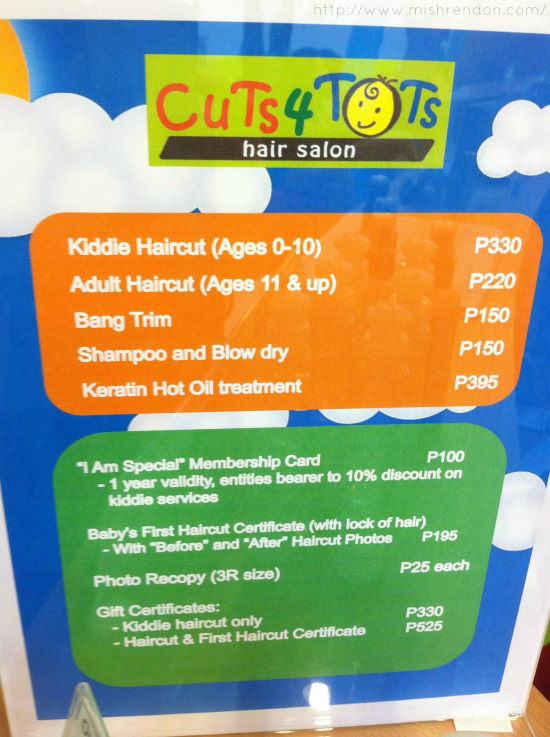 If you are looking for the best hair salon for kids within the Fairview area, Cuts 4 Tots is definitely the first place you should try out! 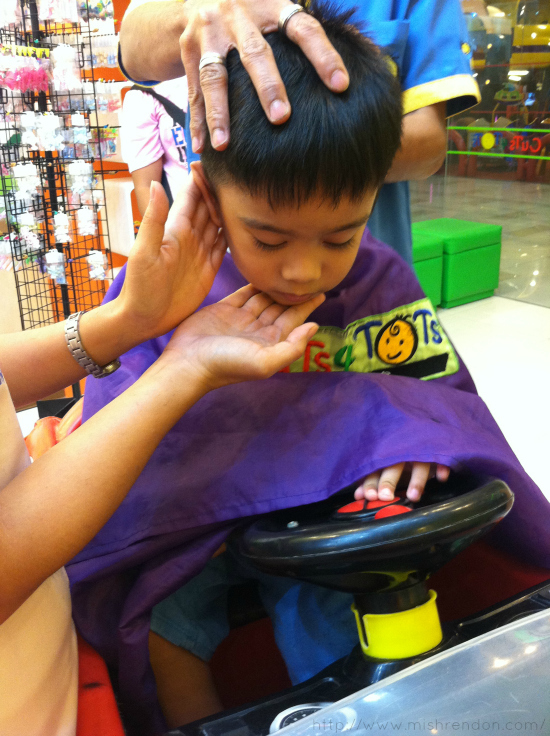 From having fear of haircuts, Z now enjoys having his haircut as they were able to turn that bad experience into a fun and wonderful one. He even sometimes refuses to go out of the salon after his haircut. That's how much he loves this place and I am happy that we finally discovered it.